Thirty-nine pink roses named by a Danish princess have been donated to the City of Chelmsford. 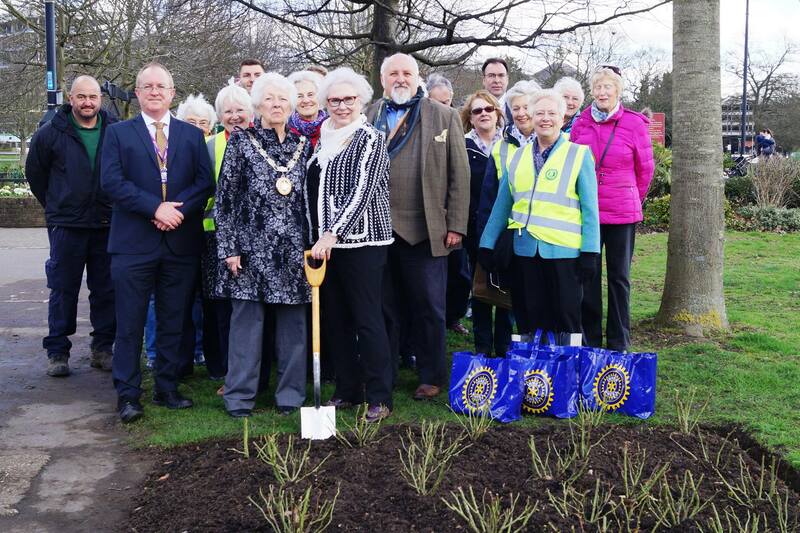 A ceremonial planting took place on 9 March at 10.30am in Central Park. 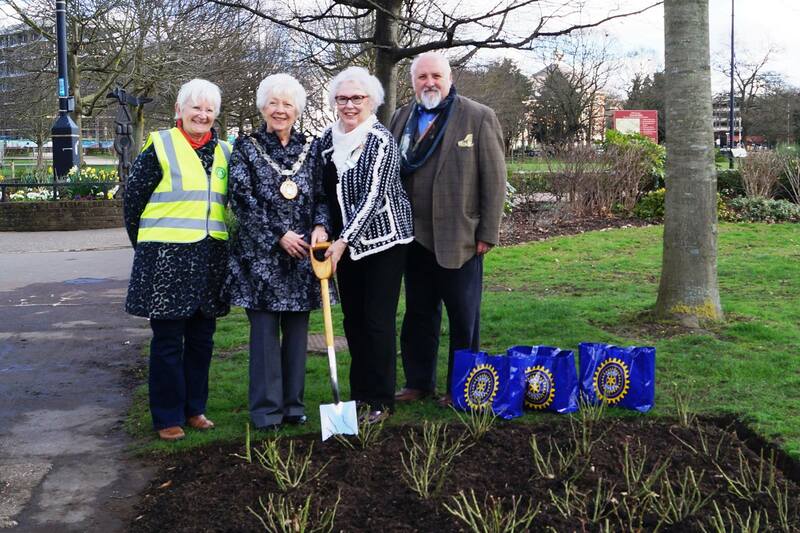 At the planting, the Mayor of Chelmsford, Councillor Patricia Hughes, and Councillor Bob Massey, Cabinet Member for Parks, received the gift from Inner Wheel District Chairman Janet Larkey. These pink, perfumed Floribunda roses were bred in Denmark and named 'Inner Wheel Forever' by Princess Benedikte of Denmark at the 2015 Inner Wheel Convention in Copenhagen. Councillor Bob Massey, Cabinet Member for Parks, said, "I am delighted to accept these lovely roses and hope they bloom beautifully in Central Park for all to enjoy. Thanks to the Inner Wheel for this kind donation." Inner Wheel is the largest voluntary service organisation for women in the world. Founded in the UK in 1924, it is now active in over 100 countries. Each year, the UK clubs contribute over a million pounds to charities at home and overseas. Members also volunteer within their local communities, giving help and support and making a difference. Janet Larkey, Inner Wheel District Chairman, said, "Inner Wheel members across our district have sponsored these roses often in memory of past members, family and friends in the hope that their gifts will bring pleasure to passers-by, whilst reminding them of the voluntary work undertaken by the members of this 93-year-old service organisation."